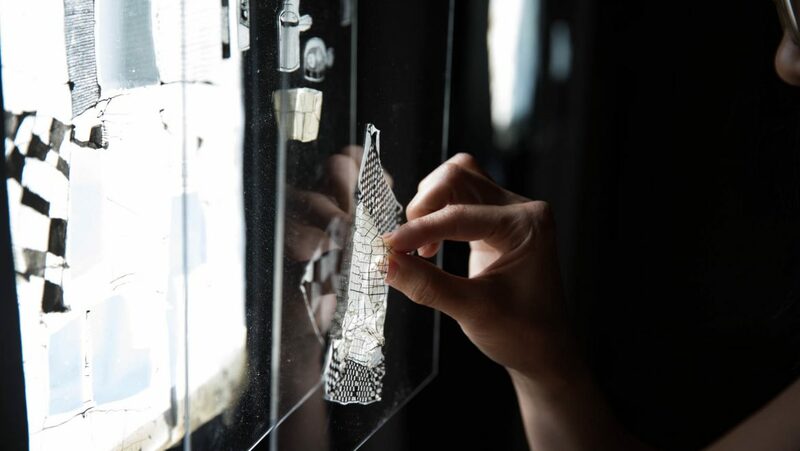 Applications for the 2019 residencies at MFT’s Joseph A. Fiore Art Center opened in early December and will close March 1st, 2019. 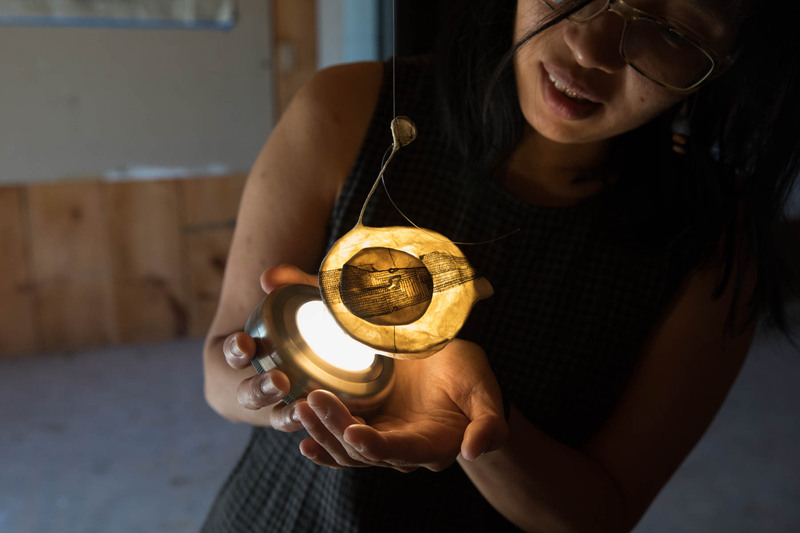 This summer the Center will offer six visual art residencies: four for Maine artists, one of which is reserved for a Native American artist; one for an out-of-state artist, and one for an international artist. 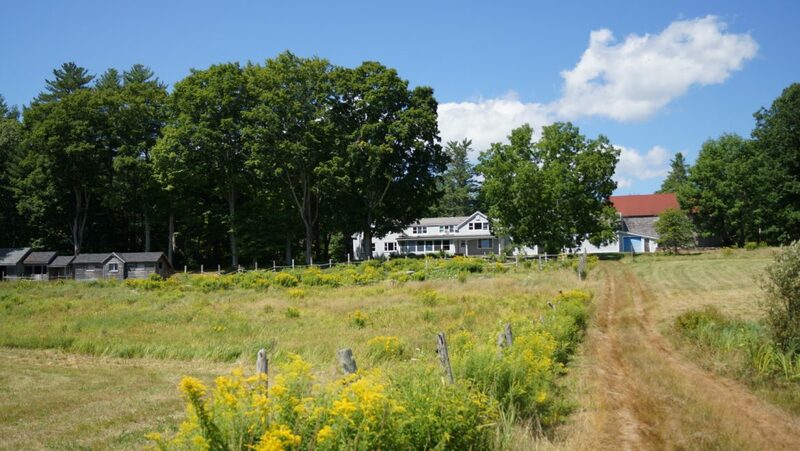 In addition, the Center will offer one performance/interdisciplinary arts residency and one literary arts residency for Maine applicants, as well as a new academic writing residency open to applicants from New England. These are one-month residencies that will take place in July, August and September. 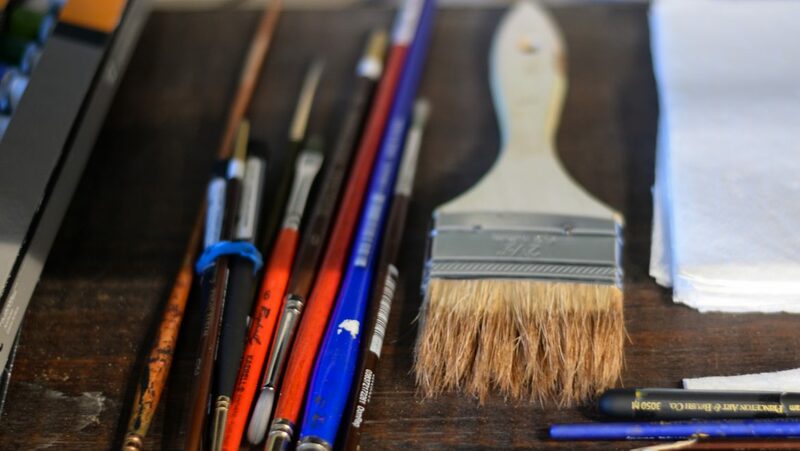 Artist applicants are selected based on the quality of their work samples, their artist statement, and demonstration that their work has a relevant connection to the environment at large, or rural Maine and agriculture specifically. Applicants to the new academic writing residency should be in the writing stages of an academic paper or dissertation focusing on subject matter related to MFT’s mission (e.g. farmland protection, access, and transfer; farm viability; food systems; agroecology; soil health; climate change and agriculture). The Fiore Art Center also offers a 5-month seasonal position for a resident gardener with an affinity for the arts. This will be the fourth summer that the Fiore Art Center has offered a residency program. David Dewey and Anna Witholt Abaldo, Co-Directors at the Center, are excited to be working with yet another excellent jury panel. “Since the literary arts residency is focused on poetry this year, we pulled in renowned poet and arts writer Carl Little for his expertise in both the literary and visual arts,” explains Dewey. “We felt Sarah Workneh, with her depth of experience as Co-Director at Skowhegan School of Painting and Sculpture, would bring a great contemporary touch and round out the panel for the visual and interdisciplinary arts,” Witholt Abaldo added. Sarah Workneh has been Co-Director at Skowhegan for nine years. She leads the educational program and related programs in New York throughout the year, and oversees facilities on campus. Previously, Sarah worked at Ox-Bow School of Art as Associate Director. She has served as a speaker in a wide variety of conferences and schools. Workneh has played an active role in the programmatic planning and vision of peer organizations, most recently with the African American Museum of Philadelphia. She is a member of the Somerset Cultural Planning Commission’s Advisory Council (ME) and serves on the board of the Colby College Museum of Art. Carl Little is the author of more than 25 art books, including Paintings of Maine, The Art of Monhegan Island, and The Art of Maine in Winter. Little’s poetry has appeared in many print and online journals and is included in five anthologies edited by Wesley McNair, former Maine poet laureate. 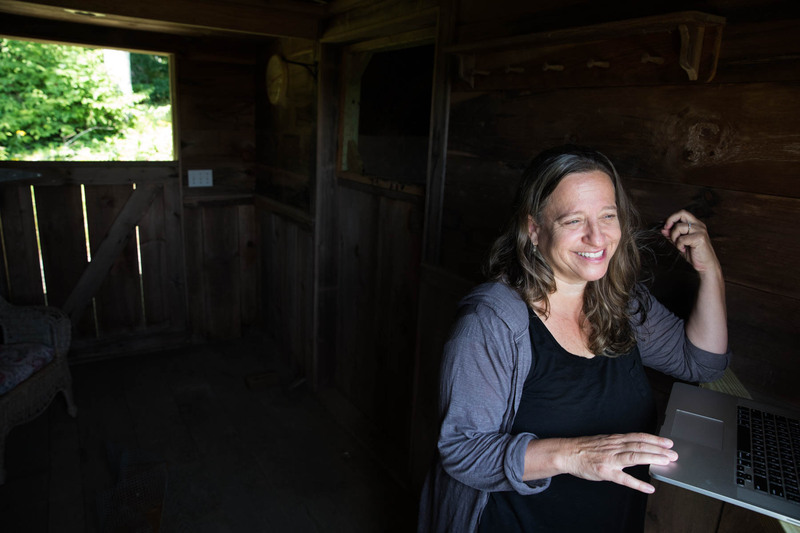 Poems have recently been featured in Maine Sunday Telegram’s “Deep Water” series and “Poems from Here” on Maine Public Radio, as well as in 3 Nations Anthology: Native, Canadian and New England Writers. Little holds degrees from Dartmouth College, Columbia University, and Middlebury College. He directed the public affairs office and the Blum Gallery at College of the Atlantic for eight years before becoming director of communications and marketing at the Maine Community Foundation in 2001. Amanda Beal’s life-long interest in how we produce food began as a child. She grew up on her family’s commercial dairy farm in Maine, and spent time on the coast of Casco Bay, where she has fond memories of digging for dinner in the clam flats alongside her grandfather and warming the bench of his smelt shanty in the winter. Before joining MFT, Beal worked for several years as a consultant on food systems-related projects for a number of fisheries, agriculture, and other food-focused organizations and businesses, and was a co-author of the publication: “A New England Food Vision: Healthy Food for All, Sustainable Farming and Fishing, Thriving Communities.” She holds an M.S. from Tufts University, having completed the Agriculture, Food & Environment program at the Friedman School of Nutrition Science and Policy, and is currently a Ph.D. candidate at the University of New Hampshire in the Natural Resources and Earth Systems Science program. Andrew Marshall is the 2018-2019 Wang Research and Policy Fellow at MFT, focusing on land use change, farmland reclamation, and climate issues. He has been ensconced in the Maine agricultural community for 15 years, serving as Education Director for the Maine Organic Farmers and Gardeners Association and Field Director for Land For Good. 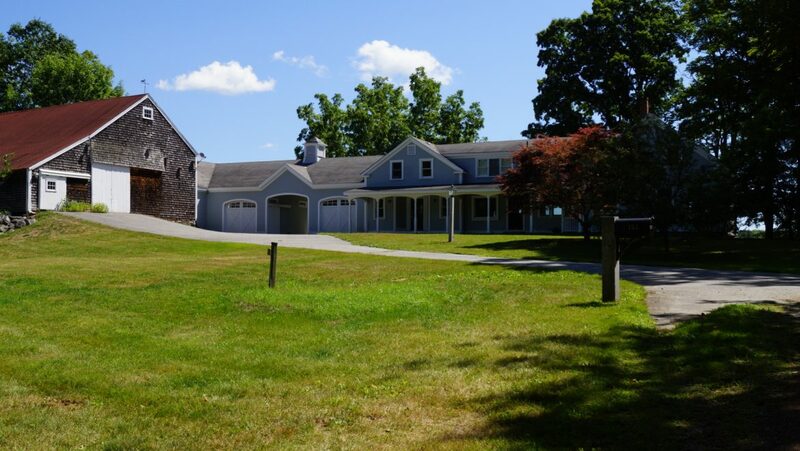 Andrew also operates Dorolenna Farm and Forest in Montville with his family. He holds degrees from Bowdoin College and the University of California. Those interested can find more information on application details, summer visitor hours and Open Studio Days here. Through an open call, MFT Gallery invited farmers, artists, artisans and writers living in Maine, from diverse social-economic, ethnic and cultural backgrounds, to create art, craft or poetry which reflects on their unique relationship to home/land. MFT Gallery asked that the works submitted “speak to a deep relationship which comes from cultivating the land, or a longing for connection with the land.” Art and poetry selected for the final exhibition includes work by farmers/artists which expresses the relationship with the land they cultivate; work by farmers/artists who have been separated from home/land in some way and are cultivating a new relationship to the land they are on; and work by those who are longing for a renewed relationship to home/land. MFT will host the exhibit at its Gallery in Belfast from November 12, 2018 through March 1, 2019. Art talks and reception will coincide with Belfast’s Holiday Art Walk, Friday December 7th: art talks at 5pm, opening and art walk 5:30-8pm. MFT Gallery’s new exhibit HOMELAND speaks to a deep relationship that comes from cultivating the land, and a longing for connection with the land. This open call exhibit was promoted and curated in collaboration with GEDAKINA, Inc., a multigenerational endeavor to strengthen and revitalize the cultural knowledge and identity of Native American youth and families from across New England, and to conserve traditional homelands and places of historical, ecological and spiritual significance. The first floor of the gallery features sixteen artists from varied backgrounds that seek to explore their relationship to home and land in a wide variety of mediums and styles. Arlene Claudill Hulva’s colored pencil figurative landscape integrates New England and Latin American panoramas. A vibrant Medicine Wheel painting by Mihku Paul-Anderson incorporates elements from the Waponaki culture and symbols from the natural world, while Maureen Block uses a 20th century ironing board as her painting surface for her work “Uprooted, Unrooted, Rerooted,” that depicts writhing roots in bold reds and yellows. 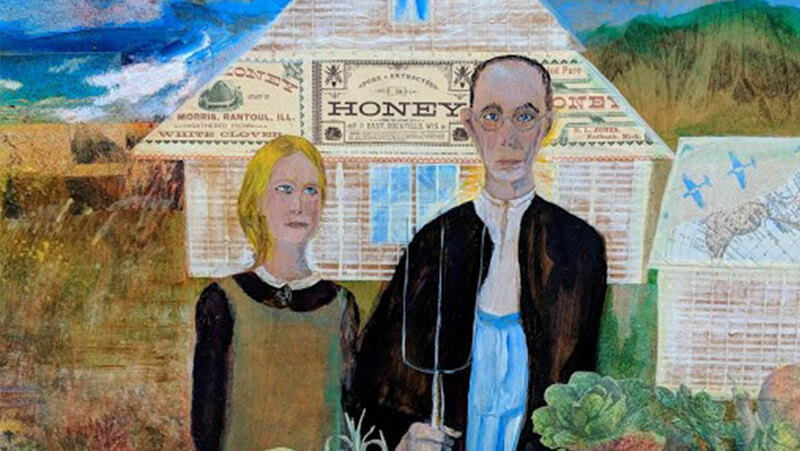 In two very different interpretations of Grant Woods’s iconic painting “American Gothic”, Colette Shumate Smith’s mixed media self-portrait reminds us to be vigilant of changing attitudes toward the land; and Bill Robitzek’s acrylic painting “Bowdoinham Gothic: Sarah and Laura” depicts a modern farm couple that is self-sufficient, and socially-conscious. Liz McGhee’s gelatin plate monotypes use a palette of blues, grays, purples, and browns with shapes and line that depict her intuitive wanderings through minimalistic landscapes. Patricia Ranzoni, Bucksport’s 2014 Poet Laureate, contributes three lyrical, flowing poems on the greater longing for ancient home ground and the yearning of displaced peoples for their place on Earth. Gabrielle Brown’s five copper, graphite and canvas woven baskets are based on Shaker designs. Elizabeth Hunter has created a grouping of rya pillows, an ancient Nordic woven pile technique, which speak to human’s connection with the seasons. Kathy Pollard will be displaying a large piece of birch bark with inscribed and painted Maine Indian petroglyph reproductions, and a beautiful sculpture “Corn Mother,” made with glass beads and moose antler. A mixed media installation by Thér̀ese Provenzano incorporates objects to invoke memories of childhood and change, while Constant Albertson will have two ceramic sculpture pieces on display with themes of water awareness. Color photographs by Christina Gessler, Emily Davis, and Karyn Marden depict varied subjects, such as quintessential views of life on a farm, organically found picture rocks, and images of the Casco Bay area. Karen Merritt’s gelatin silver prints portray the beauty in urban gardens of Portland in black and white. MFT will host the exhibit at its Gallery in Belfast from November 12, 2018 through March 1, 2019. Artist talks will coincide with the Belfast Holiday Art Walk on Friday, December 7th at 5pm, with a reception following from 5:30-8pm. Artists in summer residence at Fiore Art Center share their work with the public. Studios open for viewing and visiting with the artists. Fiore Art Center and exhibit open for viewing, grounds open for walking. Live music and free ice cream. Clif Travers: Travers grew up in the mountains near Sugarloaf. One of his current bodies of work, The Medicine Cabinets, grew from three years of interviews with people around the country. Travers asked each person: “What would you consider to be a social malady that could be easily cured by regular folk?” The resulting “cabinets” are all connected to nature and show the malady, as well as the imagined cure. 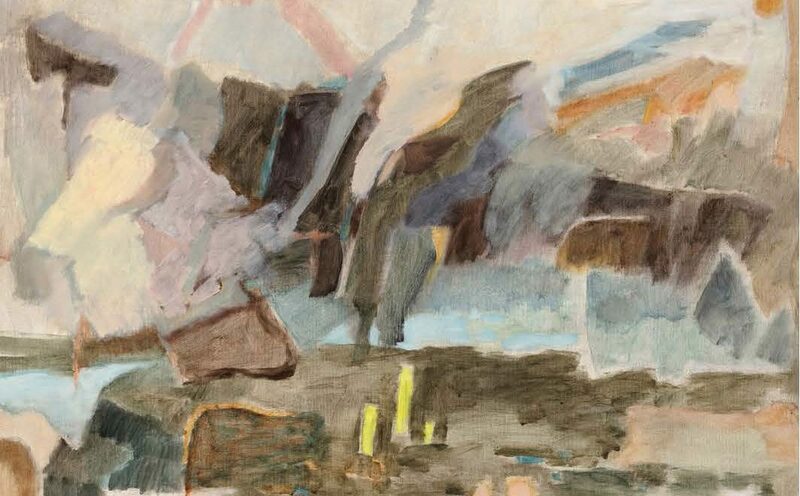 Carol Douglas: Douglas grew up on a farm and describes herself as a plein-air landscape painter whose primary interest lies in the relationship between humans and their environment. Rachel Alexandrou: Rachel is from Alna. 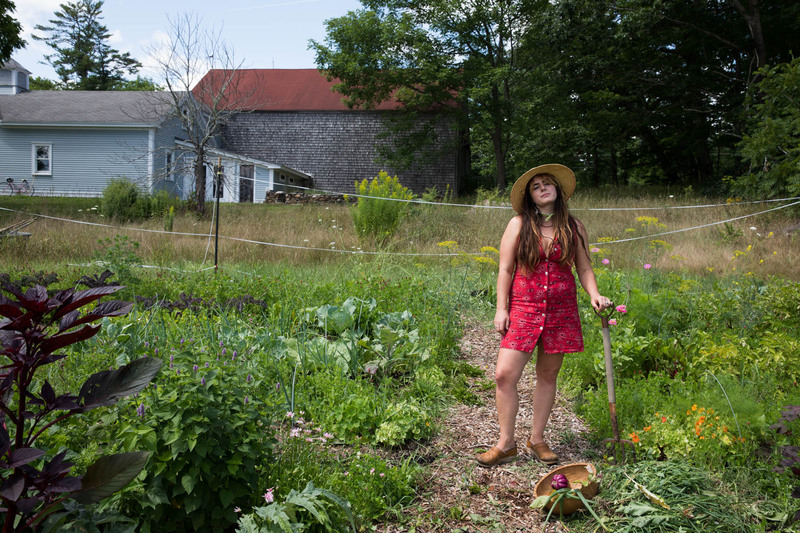 Her organic gardening experience spans a decade, and she is currently completing her bachelor’s degree in sustainable horticulture at UMaine, Orono, with a minor in studio art. Artists, writer and gardener in summer residence at Fiore Art Center share their work with the public. Studios open for viewing and visiting with the artists. Fiore Art Center and exhibit open for viewing, grounds open for walking. Live music and free ice cream. Every summer the Joseph A. Fiore Art Center hosts artists-in-residence for the months of July, August and September. At the end of each month, the artists open up their studios to the public. 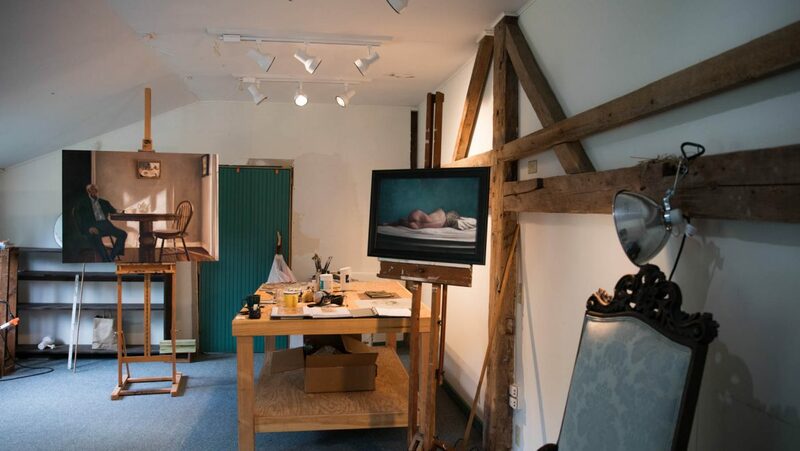 On July 29th, the first Open Studio Day of the summer took place. It was an absolutely gorgeous day in Jefferson and more than 75 people attended. Thu Vu, the international resident from Vietnam, had a studio full of ink drawings on rice paper for installation commissions in Vietnam. She also shared some of the food-related paper sculptures she had been working on throughout the month, inspired by her time in the kitchen with fellow residents and all the fresh veggies grown by the resident gardener. Maxwell Nolin, shared some of his portraits and sketches with guests and discussed his previous life as a farmer in midcoast Maine. One portrait which continuously piqued the attention of visitors was that of farmer, friend and mentor Polly Shyka (Villageside Farm, Freedom). 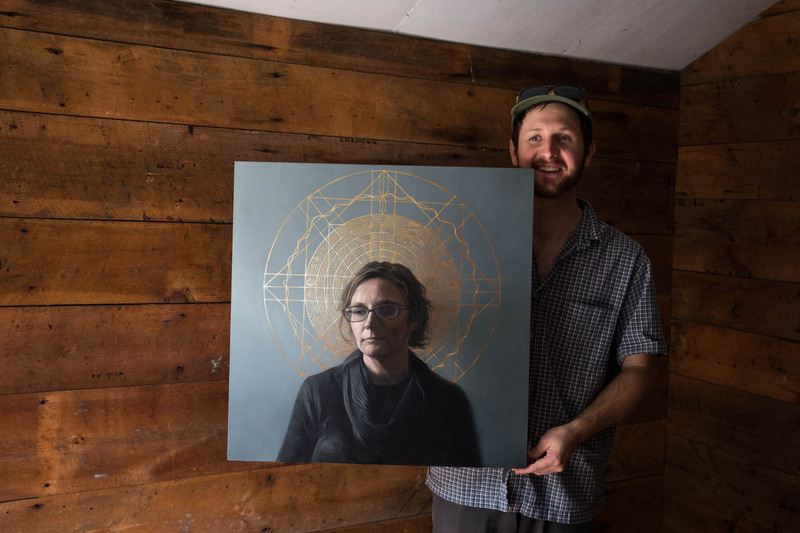 During his residency, Nolin worked on a large portrait of his grandfather, as well as a self portrait. Jodi Paloni, who spent the residency completing her first novel, held several readings in the living room throughout the afternoon. During one reading, Paloni shared how some characters were influenced by the people and experiences at the Fiore Art Center, and read some excerpts from her novel; for the second reading, she read one of her lyric essays –a process of weekly reflection – which can be read here. Resident gardener Rachel Alexandrou led three garden tours with light question and answer sessions about the interesting vegetable varieties she has been growing for the residents, including crimson clover, a unique and stunning cover crop, and dark purple tomatoes (Brad’s Atomic Grape Tomato from Baker Creek Seeds). The next Open Studio Day will be held on Sunday, August 26th from noon-3pm. Later that day, the Art Center will also be hosting MFT’s third annual Agrarian Acts, a celebration of art through music. This year’s lineup features Syblline, Sugarbush, and Sara Trunzo. The Open Studio Day is free; buy your tickets for Agrarian Acts HERE. Join us for the first Wild and Scenic Film Festival in Downeast Maine! 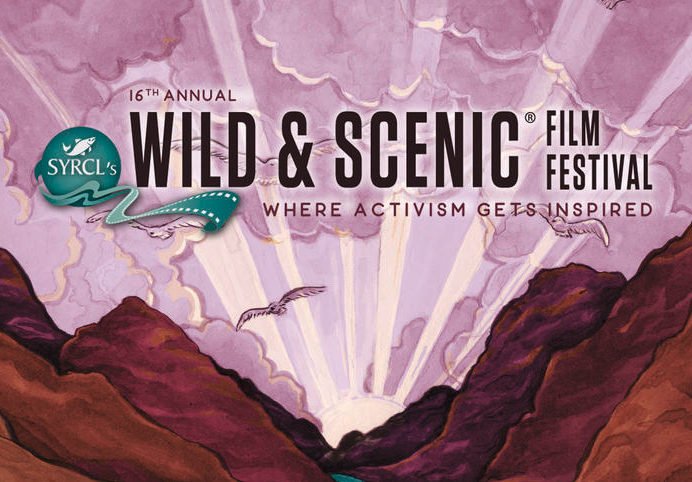 The Wild & Scenic Film Festival is the largest film festival of its kind. It will leave you feeling inspired and motivated to make a difference in your community and the world. There will be food and drinks, a raffle, and information from participating hosts at 7pm; we’ll start showing the films just after sunset around 8pm. Co-hosted by Downeast Salmon Federation, Downeast Institute, Downeast Audubon, Schoodic Institute, Frenchman Bay Conservancy, Great Pond Mountain Conservation Trust, Blue Hill Heritage Trust, Maine Coast Heritage Trust, and MFT. Sponsored in part by: Downeast Fisheries Partnership, Downeast Conservation Network, and Hawkes & Quirk, LLC. Additional national sponsorship provided by: Peak Design, EarthJustice, Barefoot Wine and Bubbly, Klean Kanteen, CLIF Bar, and Sierra Nevada Brewing Company. This is a FREE community event! Learn more about the films at https://www.wildandscenicfilmfestival.org/. MFT’s Gallery’s annual Summer Stable Show is a favorite with returning art-lovers and summer visitors alike. 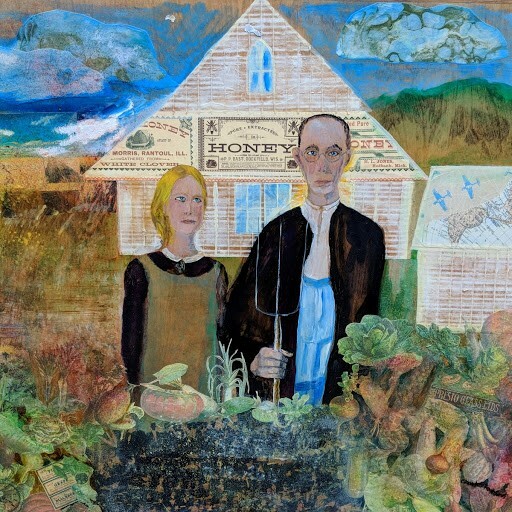 This is the gallery’s largest, most vibrant group show that showcases twenty-two Maine artists this year, whose work connects to agriculture, nature or environment. This year includes first time exhibitors Sara Gagan and Susan Sidwell. The first floor features a large, dynamic, abstract mixed-media piece from a series on rhythms in nature, by Belfast’s Kathryn Shagas; beautiful bright photographs of local landscapes printed on aluminum by Sarah Szwajkos; and a colorful collection of small paintings entitled “Artifacts” by Portland’s Christopher O’Connor. Contemplative figurative works by sculptor Elizabeth Ostrander create a synergy with the beautiful large goddess image, “Oracle,” an intricate scherenschnitt paper cut created by MJ Viano Crowe. The evocative paintings of Sheep Jones, another Belfast artist, contribute strong color, content, and design in her series of “Bulb Narrative” and “Fish Walker.” Sara Gagan’s images of animals are a delightful and inventive use of oils and collage elements. John Arden Knight’s large acrylic paintings of water lilies and milkweed are bold and vibrant, while Leslie Harris and Leslie Anderson present wonderful atmospheric paintings of landscapes and figures. Jude Valentine’s series of small brilliant pastels depict the many views and moods from Great Cranberry Island to Acadia. Paintings by Leslie Bowman, Julie Cyr, and Sharon Yates round out this collection with varied natural subject matter, such as a charming chick, engaging peas in a pod, and rich tulip still lifes. The second floor displays the photographs of Terry Hire, Lynn Karlin, and Jim Nyce, all with very different subject matter, mood, and use of color. Lou Schellenberg impresses with oil paintings of strong, imposing landscapes and sky with vigorous compositions. DiTa Ondek’s paintings of laundry fluttering on a clothesline in the wind create a colorful sense of energetic movement, while Kathleen Perelka’s lovely use of light and color accentuate a cultivated farm landscape. Robin Rier’s oil paintings incorporate vivid colors in tranquil scenes of flowers, peeling paint and old fence posts. The bug and rosehip mandala paper cut prints of Susan Sidwell draw you in for a closer look with their intricate design work. The Summer Stable Show 2018 runs from June 4th through August 31st, with artist talks Friday July 27th at 5pm, followed by a reception and the town-wide Belfast Art Walk from 5:30-8pm. A Perfect Day, Leslie Harris, oil on linen panel, 20 x 16 in. 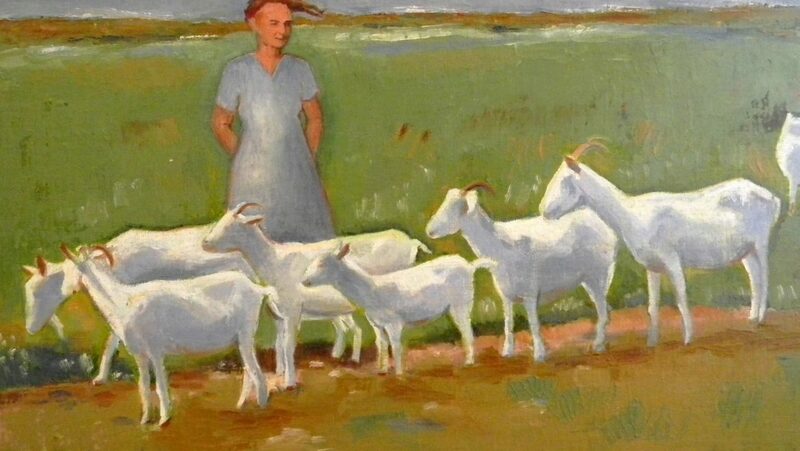 A selection of work by Joseph A. Fiore (1925-2008) from the most recent gift to Maine Farmland Trust, including pastel drawings, watercolors and oil paintings. The Fiore Art Center is open for visitors Saturday 12-4pm, June through September.